Dealing with a death in the family can be a very emotional time. In the midst of grieving, someone has to take a hand in making funeral arrangements and dealing with the dead person’s estate. This can be a very difficult and confusing process, especially if you are unfamiliar with probate and the terms and procedures involved. It’s more than possible to handle everything yourself but, given the complexities involved and the fact that they might already be feeling emotionally off-kilter, many people prefer to seek professional advice. This can be as extensive as employing a solicitor to handle the estate entirely, or it may just involve getting help completing probate forms or handling inheritance tax. When a person dies, somebody has to handle their affairs. 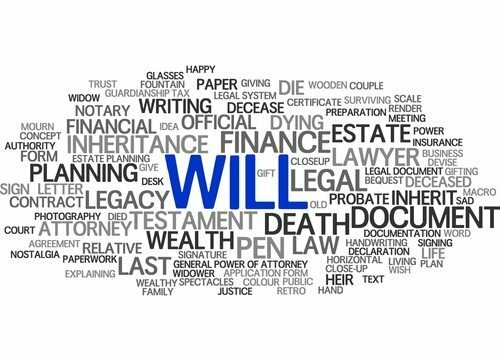 If the person who has died has left a Will, one or more executors will usually be named. If they did not have a Will, the rules of intestacy apply. This usually means the next of kin is legally obliged to administer the estate. Under certain circumstances, the executor or administrator will have to apply to the courts to gain the rights to deal with the estate. This is known as probate and it may be required if the person who died had £5,000 or more in assets held at banks or other financial institutions. Probate may also be required if there is property held in the sole name of the person who died or if they owned property as tenants in common. Most couples who own property do so as joint tenants. This means if one person dies, the property automatically passes to the survivor. In the case of tenants in common, both hold a set share of the property. This may be a 50/50 split or any other division. What are the responsibilities of the executor or administrator? 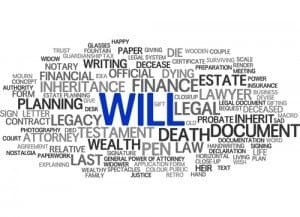 The executor or administrator is legally responsible for administering the estate according to the terms of the Will if there is one and the rules of intestacy if there is not. They are responsible for sorting the deceased’s assets and liabilities, for filling in tax forms and ensuring inheritance tax is paid where applicable. Finally they are responsible for ensuring all beneficiaries receive their correct shares from the estate. This can be a daunting prospect but executors and administrators are able to renounce their role and appoint a legal professional or other individual to act on their behalf. Many still choose to do it themselves but if the responsibility falls to you, it’s always worth getting as much knowledge and advice as you can. If nothing else it can stop you from getting overwhelmed if you are also grieving and trying to get your own and your family’s life back together after a bereavement.